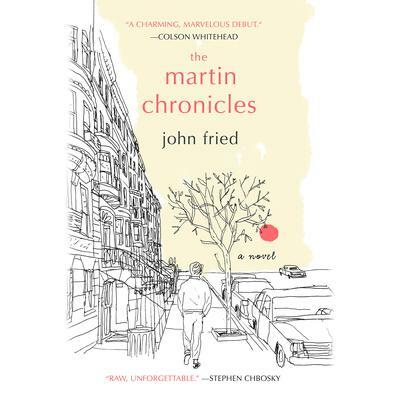 A powerful and heartfelt novel that follows one boy as he grows up in 1980s Manhattan, bringing the magic of first experiences and the brutal truth of hard lessons to life on the page. In sixth grade, eleven-year-old Martin Kelso's world starts to change. Girls get under his skin in ways he never noticed before. Even his cousin Evie, who taught him the right way to eat pizza and how to catch tadpoles, has grown wild, unpredictable, and mysterious. Mugger was once just a game played by Marty and his friends, but now real muggers are targeting them on their way to school. Marty used to feel secure in his own skin; but as he grows up and life changes too quickly around him, it becomes increasingly difficult for him to choose right over wrong-or to even tell the difference between the two. 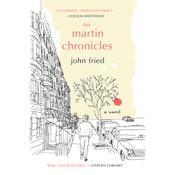 This moving debut perfectly captures the intense emotion, humor, and earnestness of young adulthood as Marty ages from eleven to seventeen and navigates a series of life-changing firsts: first kiss, first enemy, first loss, and ultimately, his first awareness that the world is not as simple or safe a place as he had once imagined. John Fried teaches creative writing at Duquesne University in Pittsburgh. He received his MFA from Warren Wilson College’s Program for Writers. His short fiction has appeared in numerous journals, including The Gettysburg Review, North American Review, and Columbia: A Journal of Arts and Literature. Prior to teaching, he was a magazine writer and editor in New York, and his work appeared in various publications, including the New Times Magazine, Rolling Stone, New York, Time, and Real Simple.